Jette in the northwest of Brussels is a resolutely green part of town, with a large chunk of it taken up by the King Baudouin Park. It’s also home to a major market, and retains a village feel, but still within easy reach of the city centre thanks to the newly opened tram line 9. 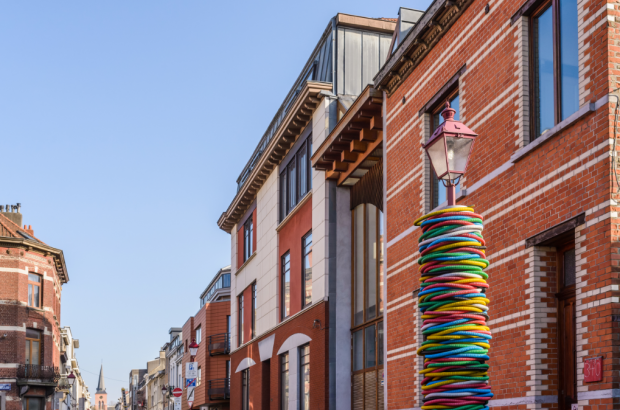 Driven partly by its proximity to the European School in Laeken, more and more expats are choosing to make their homes here. We asked Bulletin readers to tell us what daily life in Jette is really like. Property prices in Jette are higher than in some of the neighbouring northern communes, with a two-bedroom apartment going for an average of €900 and three-bedroom family homes costing from €350,000, according to property website Immoweb. All those who took our survey about life in Jette mentioned its parks, and the northwest of the commune has an amazing natural resource. More than 300 acres in size, the King Baudouin Park is composed of the Molenbeek valley, the Laerbeek woods, the Poel woods, the Sacred Heart park and the Dieleghem wood. The Molenbeek valley was developed in three phases: the first two are landscaped parks with lawns, ponds, flowerbeds, small woods, children’s play areas and paths designed for easy wheelchair access; the third phase is more natural and historical with grazing meadows complete with cattle, wooded dales, hedgerows, riparian habitat, old farms, vegetable gardens, a children’s farm and the ruins of a Roman-Gallic villa. The Laerbeek wood is an 85-acre mostly beech forest, while the Poel is a beech and oak forest that is also a natural preserve with 49 bird species and extensive flora. The Dieleghem is 125 acres of very hilly forest with a large children’s area and a huge dog run where dogs are allowed off their leads. If you can’t make it to the South of France, there’s a full-size copy of the Grotto of Lourdes in Jette. A chapel was built in 1913 but the influx of pilgrims coming to ask the Virgin Mary to end World War I was such that they built a copy of the grotto in 1915 to accommodate the crowds. It’s still a popular spot today.